Hello GT! So you already gave me the fantastic advice of *where* to go on my vacation next week (New Orleans beat Austin). Now I'd like to get some quick recommendations on what to do in New Orleans. We'll be there from this Saturday until next Monday (9 days total). The Cardinal wants to go on a gator tour, I've booked a cooking class and the New Orleans School of Cooking. Obviously we'll be doing a lot of drinking and eating, but any advice? 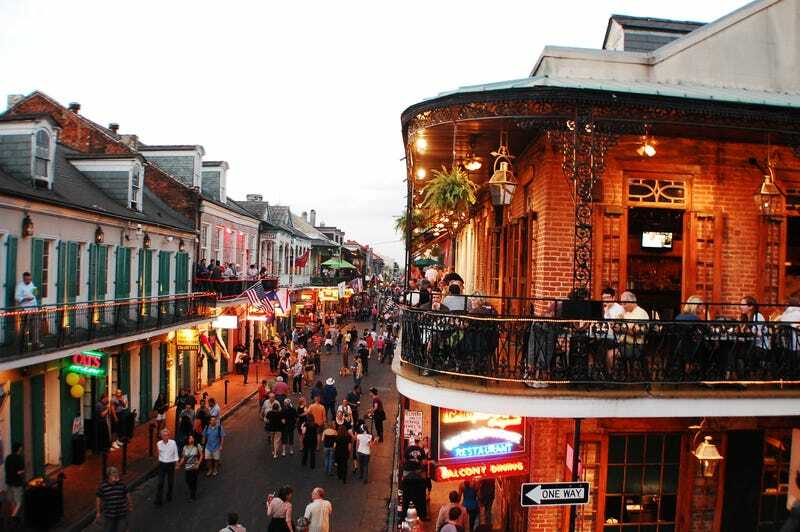 We'll be staying 3 blocks away from Bourbon street, but we've never been to New Orleans before (actually, apart from Texas I've never been to the South in general before), so feel free to start with the basics, if you'd like to offer some advice/recommendations.